It is a sad day when we lose our pets. In this case, it was a Grizzle Saluki I bred, who lived with my good friends Verial Whitten and Barbara Nackarud. Shortly after I received an email from Verial asking if I could draw Zeke. She hoped to gift Barbara a drawing of Zeke; I could not turn her down. In fact, I surprised her by telling her I could have it ready in less than a week. 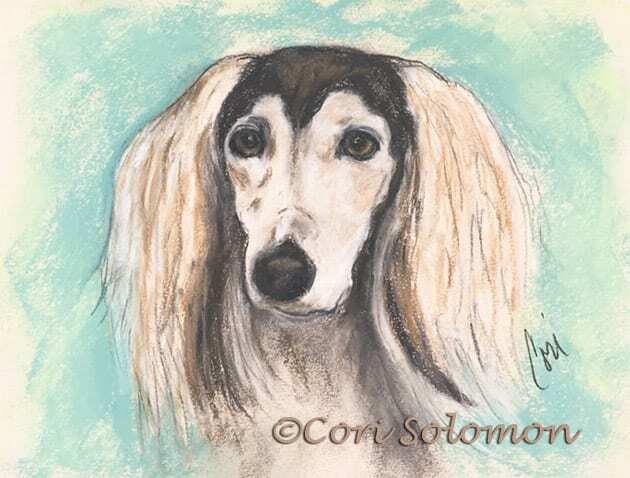 Drawing a grizzle Saluki is easy for me since I live with three grizzle Salukis. This drawing was my late commissioned dog portrait for 2017. It was ready to be presented on Christmas day.